As I read these passages, I think we can all identify with the scribe in today’s Gospel. With all the different and challenging teachings Jesus provides, the scribe wants to simplify things and discover the main guideline from which he should base his life. In a way, he is saying, “Jesus, I know all your teachings are important. But to which one should I most fully give my attention?” The scribe’s question relates quite well to our own experiences. We often want to identify the main idea of a message given to us, whether it is in a book or a presentation. We strive to discover the ideas that should not be missed or forgotten, and the scribe’s question applies this same process to our faith lives. Instead of just saying all of his commandments are equally important, Jesus answers the scribe by first emphasizing that God is God alone and without equal. Therefore, we should love and serve God with all of our being. Jesus shows that we are called to direct our whole lives to God, which includes our actions and choices. As a result, we should view the rest of Jesus’ teachings as helping us to love and come closer to God. Jesus then points out that we are to love our neighbor as ourselves. We are called to show God’s unceasing love for all people, which enables us to more fully see God’s presence in the world. When we struggle with keeping our Lenten promises, let us look to today’s Gospel and remember we are showing God that he comes first in our lives. 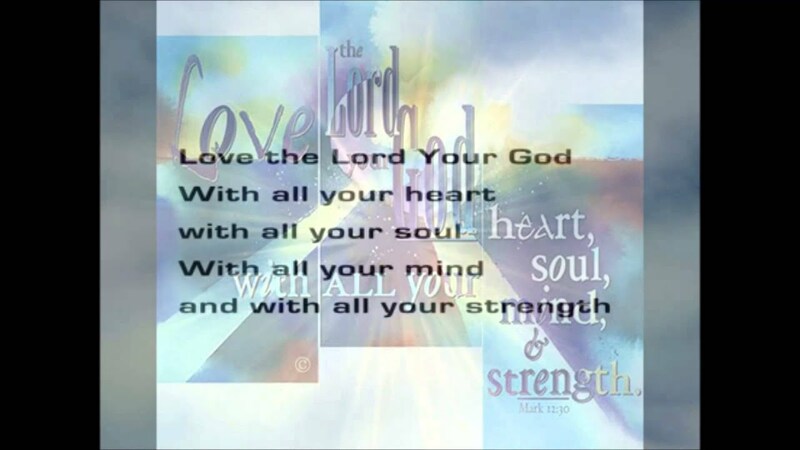 Lord, help me to keep in mind your commandment of love and to live it with all my strength. I do not want to live my faith with mere intellectual knowledge of your commandments; I want to live it with a deep intimate knowledge that bears fruits of true holiness. Yes, to love God means I must know Him. I must set aside my fears and place my life in Him. How? By following His commandments! It takes a leap of faith to follow the Lord’s commandments, especially the two great commandments. But only then will I experience Him as He truly is: my Lord and my God, and as an image and likeness of me and my neighbor. Then, and only then, will I not be far from Him.